Homefront is a by-the-numbers first person shooter. 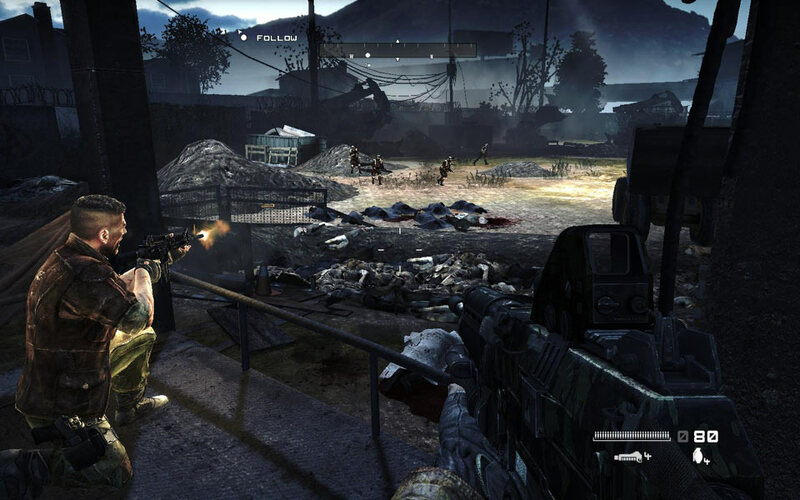 It's got a modern setting with a wide variety of weapons, the usual 2-weapon system, regenerating health, cover-based (non wall-hugging) firefight mechanics, slow-motion "quick-time" events, a stealth level, rail-shooter segments, and the almost obligatory helicopter/UAV mission. It clocks in at around 3-4 hours, so is horrendously short even by FPS standards, but it's a fairly enjoyable experience in terms of actual gameplay. However, the game has one fairly severe and confronting deficiency: its writing. Now, I know people don't play FPS games for the writing of their single player campaign, if they did, Modern Warfare 2 would have tanked horribly due to its incoherent plot and hideously sloppy attempts to evoke emotion. Any FPS with more depth than "aliens/zombies/Nazis invade" is normally a step ahead of the curve, even though the genre has had some movement towards meaningful and powerful narratives over the years. But there's some rather glaring problems with Homefront that warrant particular attention. Let's deal with the elephant in the room straight away. Homefront comes across as a game steeped in racism, right from the opening where there's conflict in the middle east, and North Korea starts expanding and attempting to conquer the world. Now even putting the content aside, the delivery it what begins to grate on the player. As part of the opening sequence you see two parents executed in front of their child, who is then abandoned by the soldiers responsible to cry over the two corpses. This somewhat disturbing scene sets a precedent for the the content that continues throughout the game. Civilians placed into mass graves, the mass bombing of suburban areas and a raft of equivalently distasteful scenarios make the game paint the North Korean soldiers as a combination of the most violent, bloodthirsty and heinous war criminals throughout history. The point may have been to paint a stark and brutal reality, but the way in which it is carried out smacks of manifest racism on the part of the writers. The Korean soldiers are pretty much depicted as remorseless and emotionless killers as a single unit, bent on hunting, killing and otherwise doing anything to subjugate all of America. Simply put, it reeks of manifest racism to the degree that it's almost offensive to watch. Moreover, the game continually reminds you that you're fighting "the Koreans" just in case you had forgotten the name of this overwhelmingly evil nation responsible for all the atrocities committed during the game. Furthermore, it seems that the writers realised how bad this looked as some stage, and so they introduce you to Hopper the "Korean" squad member. Aside from the fact that I didn't realise he was meant to be of Korean heritage until one the characters you meet is a racist jerk towards him, and that it's never really brought up again make it feel like this was shoe-horned in to combat the writing throughout the rest of the game. Another moment of self-awareness is when the game sees you end up in a village of "survivalists", who are painted to be every bit as savage and brutal as the Korean enemies. This time it's a group of backwater hicks who are shooting unarmed Korean soldiers in cold blood, while the people traveling with you make comments about what terrible people they are. However, when the racial slurs coming from these "survivalists" feel as though they could quite easily come from the mouths of your squadmates, the sanctimonious "racism is bad" preaching they deliver feels fairly hypocritical, especially given two of these characters have gone into a "kill 'em all" rage in reaction to events that occurred previously in the game. "Don't worry, we're not as bad as they are!" Exacerbating the issues above is that Homefront's writing and voice acting don't really match the setting that they're trying to depict. For something that's played as a straight shooting, gritty representation of war, it comes across with some seriously ham-fisted delivery. The aforementioned mass graves scene starts off rather brutal, with the mechanical and cold reality of the scene hitting the player, but this is utterly destroyed when one of your teammates responds with utter rage. While this might be an understandable reaction for a person, the voice acting and their lines makes it feel overblown and overacted. The impact of the scene is not only lost, but is practically made to seem like an over-the-top action movie sequence, which almost turns the whole escapade into a terrible and poor-taste joke. Instead of feeling something disturbing as you would from visiting the killing fields in Cambodia, you're given a scene that inspires discomfort at how poorly it was managed. As if this wasn't enough, the writers get self-referential at one point at started poking fun at themselves for the unimaginative ways in which the scenarios are forced to progress. At one point the other characters comment to the player that "that's the fifth thing you've survived falling off". If even the writers are making then you know that your scenarios are a little contrived. This one, however, I can potentially give the writers a free pass for, if they weren't involved in the process from the start. In many games, the plot is developed as a bit of an afterthought, tacked on to string gameplay scenarios together. I'm not saying for certain that this is what happened in Homefront's case (though it could explain a few things), it's practically impossible for writers to fix problems inherent from a repetitive "Michael Bay explosions first" mindset to "cinematic set-pieces". The problem that when all these elements combine, you're left with an unpleasant mix of atmosphere in your mouth. The handful of references that suggest that the game is aware of what it is presenting are at odds with the overall package. Homefront appears to be playing all its drama straight, when it really comes across as though it should be at least part parody. You half expect there to be a Team America "OH HARRO!" homage performance from a token Korean leader at some point, but it never arrives. 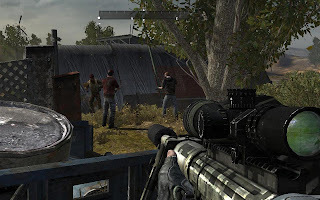 The poor writing, self-righteous "sympathetic" characters and the presentation of the North Korean troops as brutal murderers all produce a game that can come across as fairly offensive. I doubt this was an intentional thing, and it almost feels as though there was a recognition part way through the development of how its content would be interpreted, and there were a few band-aid attempts to salvage the situation. Developers and writers really should be mindful of the impression that they will be conveying through their game, and in this case that impression is not a good one. 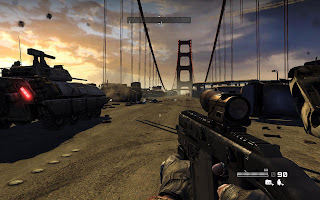 Which is a bit of a pity really, because despite the shortcomings of its writing and the very short length, Homefront's single player campaign is actually a fairly fun experience. Unfortunately its reputation and the overall feel is tarnished by the manner in which it is delivered. My last post on NPC interaction mechanics focused on interactions initiated by the NPC's themselves. Interjections and time-based dialogues would result in the NPC starting the conversation with the player rather than the player choosing to talk to the NPC. In today's post I'll cover two common mechanics used to control conversations and NPC relationships where the dialogue is initiated by the player. This is an easily understood mechanic that is used in many RPGs. When the player talks to an NPC, the responses they can give and the questions that the player can asked are based on the current events of the plot. If the player has just met the NPC, they will likely be able to ask them about how they came to be here, or their current situation. As the game progresses, they might be able to ask them about previous victories or upcoming events. 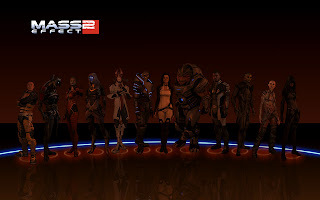 Instead of having conversations based purely on specific events, the event-based option can also progress in a phased approach, as per Mass Effect or Mass Effect 2. In this case, it is often possible to be able to "progress" your personal (and/or romantic) relationship with a character after completing certain missions within the game. In Mass Effect, after every "core" mission, you can "do the rounds" and find out more about each of your party members. In Mass Effect 2, the progression is not quite so clear cut, but you can regularly return to find out more about them... provided they're not "busy". Enough with the damn calibrations already, Garrus! There are definite advantages to this kind of phased approach. For one, it allows the developer to space out the development of the relationship with the NPC. This prevents the possibility of the player exhausting a character's story arc or personal development in the early stages of the game by dishing it out at specified intervals. It is still the player's choice if they wish to find out about the character (unlike interjections or timed conversations), but it is done in such a manner that their character development can much both the actual and implied relationship between the player's character and the NPC. The direct relationship is the player's interactions, but the implied relationship is that suggested through the dialogue: e.g. passing mention of events that never actually occur within the game and the development of a relationship from being in close proximity to someone over a time in terms of the reality of the game world. These are things that the player infers would naturally happen; if you're traveling with someone for weeks and potentially months (or even years) on end as most RPGs tend to, it is natural that some sort of relationship (whether friendly or antagonistic) would form. The event-based mechanic implicitly plays upon this natural development of relationships. Another positive is that the relevance of a discussion to recent or upcoming events helps to reinforce the consequences of past actions or increase the stakes of upcoming quests/missions. This is an excellent means to keep the tension and player motivation high. If a party NPC whom the player likes is telling them how important a particular quest is to them, then the player will be more likely to do it. Of course, the counterpoint is true also, if they don't like the party member, they might delay doing the quest until the latest possible moment out of spite. Provided that the character is being disliked because of the character's personality - rather than the lack thereof, poor writing, poor voice acting, or something similar - then this is still a positive outcome. Even if the player doesn't like the character, they've still had an emotional reaction which increased their engagement with the game. The player might begrudgingly complete the quest in the end, but in the meantime they've gained enjoyment from not doing so, and in some cases they might choose to not do it at all. The major drawback to this approach is the visibility of mechanism. It's frequently obvious to the player what is happening. In Mass Effect 1, it quickly became obvious that the player could only progress a relationship after a "core" mission. 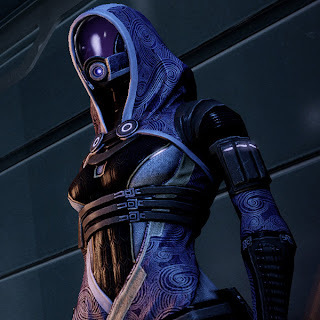 In Mass Effect 2, the progression was less clear, resulting in annoying situations where the player would talk to everyone only to be given a stock line indicating the NPC had nothing new to say. Garrus' "Can it wait? 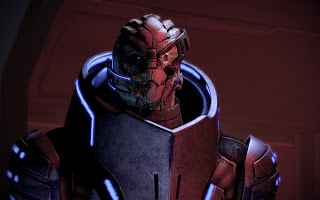 I'm in the middle of some calibrations" line was so frequently repeated due him typically being one of the first crew members to be collected, and having a relatively small number of dedicated conversations. The blatant nature of the conversation mechanic means that it can make the relationship feel artificial. Without some supplemental conversations in other areas, it can feel extremely mechanical and forced, meaning that it loses much of the emotional impact or connection with the character. This isn't to say that it is impossible, but it the player is acutely aware that the only reason for the culmination of the relationship (particularly if it's a romantic one) is because the final battle is just about to start, then it will likely feel less important. The mechanic relies on an existing "approval" system being built into the game's logic. This kind of system has been built into many games, where the player's friendship with an NPC is given some sort of numerical value dictating how "friendly" the relationship is. This number might not ever be explicitly shown to the player, maybe just as a measure on a scale or possibly not even shown at all, but it the key that drives the conversation mechanic. 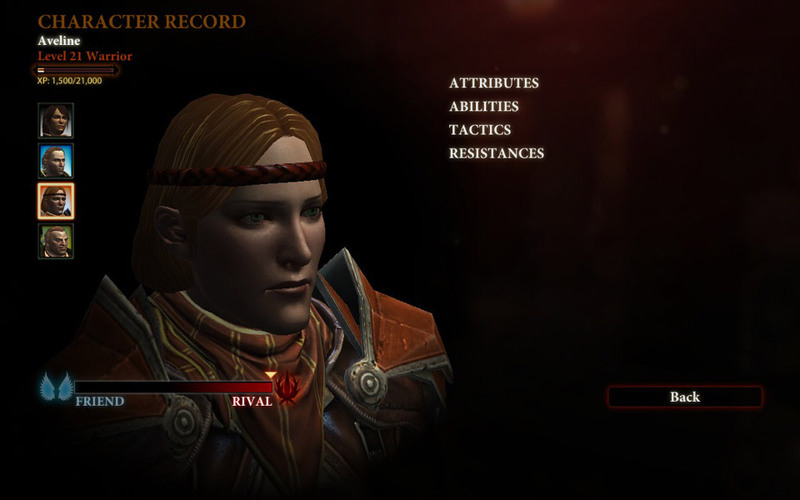 This played a key part in development of the relationships within Dragon Age: Origins, and the nature of the relationships within Dragon Age 2. 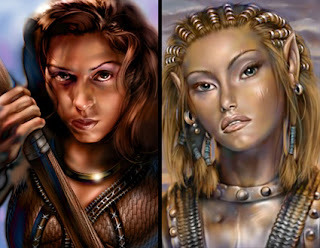 Friendship or Rivalry: which dictates your NPC relationship? The key issue here is that it is the approval rating value that provides access to new conversation options. Much like with the event based system, new conversations will not open up until the approval reaches a set point. 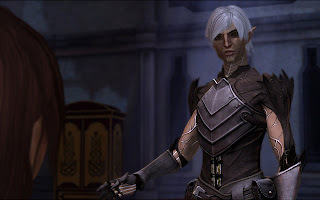 This has the advantage of feeling much more organic than the event based system, as approval may increase through the player's decisions with the player in the party, providing gifts (as per Dragon Age: Origins) or other external factors. This makes the relationship feel much more believable, particularly when the player is traveling with the party member and performing actions on which the NPC approves of, as it gives the impression the the NPC is "opening up" to the player character because they trust them more and more. At a first glance, this seems like a fantastic system, until some of the ramifications and dependencies are analysed. For starters, this implies that the player is going to have a relationship such that the NPC's approval moves a large amount (in either direction) across the course of the game. Without this change in approval, additional options are never unlocked, and the character feels flat and lifeless. Players who perform actions which both anger and please an NPC run the risk of not seeing of their character at all because the approval rating stays at a fairly neutral state. Furthermore, it will likely be necessary to write a lot more dialogue to account for the potential that the NPC may hate or mistrust the player, or alternatively trust them or love them entirely. These cases should require vastly different dialogue for a well written character, particularly if the player is pursuing a romance. Are we talking love-hate or love-love? Another potential issue is the ability of the player to short-circuit the relationship early on in the game. If the player has access to gifts, then it is potentially possible to increase the approval rating of an NPC to a significant extent early on in the game, opening up all the conversation options as a result. This can quickly develop and subsequently exhaust all the conversation options with a character very quickly, having them declare their undying love for the player near the very beginning of the game. This is more artificial and undermines the believability of the NPC far more than the event based system ever could. This is also a potential problem when dealing with the natural gains of approval throughout the game. Often an NPC's approval will be modified because of a player's actions, but only if the NPC witnesses it first-hand, i.e. they are in the player's traveling party at the time. Metrics collected from RPGs have suggested that most players tend to have one specific party for the majority of the game and rarely deviate from that group of players, at least for a first playthrough. Despite this, there will typically be enough approval points dished out throughout conversations such that the party members will reach maximum (or minimum) approval part way through the game to account for party variation (among other factors). As such, even without gifts, it may be possible to exhaust the relationship "too early" within the game. Lastly, there is a problem for the player in determining "when can I talk to the NPC next?" Without some clear indicator, the player has to periodically "check-in" on their NPCs to see if they have anything new to say. This potentially runs the risk of being every bit as annoying as getting "calibrations" lines in an event-based system. Party NPCs are arguably the most important characters within an RPG, so any time dedicated to making them and their relationship with the player seem more realistic is time well spent in order to increase the player's level of engagement with the game. Having addressed the need and importance for such relationships, and the mechanics to do so, I hope I've given people some food for thought on the subject. I'm contemplating a final post on this matter, covering up a few issues regarding mechanics and general ideas for designing NPC relationships that I've not addressed along the way. If readers are interested in these, let me know and I'll do a final wrap-up. In my past two posts, I've been discussing the value of NPCs and their interactions with the player. So having addressed the value of such interaction, it's important to look at the means by which the personality of an NPC is conveyed to the player. Here I'm referring to the specific mechanics of conversation and how they are used to have the NPC interact with the player and other NPCs within the game world. As such, I'm going to try and present a number of different categories of conversation or dialogue style that are used to facilitate this interaction, analysing the benefits and drawbacks of each. At the simplest level, NPCs should provide their own opinions on situations that they might feel strongly about. This need not actually be an interaction with the player, but merely the NPC making a comment to give an insight into their personality. This is a straightforward means to educate the player about the NPC's character by showing their reaction to specific circumstances. If the player has brought the character along, then they make a comment befitting their personality. Not only can the NPC's knowledge or opinions can be used to develop the depth of their character, but it can also be used to enhance the player's understanding of the scenario, or to increase the emotional stakes of the scene. For prime examples of this, see any of the loyalty missions within Mass Effect 2. These missions involve a deeply personal aspect of the party member's life, which is used to push the plot events forward, give great insight into the history and behaviour of the character, and subsequently raise the tension of the scene through their reactions. One key shortcoming of this type of interaction is that the player has no "agency" in starting the interaction. That is, it is always up to the NPC in question to initiate the conversation, regardless of whether the player wants their input or not. If the player disagrees with the character, this can lead to them becoming annoyed with the NPC in question and potentially wanting to leave them behind. Obviously this is exactly the opposite of what you want as a writer, and can end up weakening the game and reducing the player's enjoyment instead of adding to it. The other issue is that the player must bring a character along in order to get to know them. Arguably, this isn't necessarily a bad thing, and it provides a degree of realism. If the player never travels with an NPC and shares the adventure with them first-hand, then they are unlikely to become as close to that person as opposed to someone with whom they are entrusting their life. Going in a party with someone means that you get to gain that first-hand insight into their personality and behaviour, just as you would in real life. However, if this is represents a significant portion of the dialogue used to show the depth of a character, then any NPC that the player does not travel with will likely feel stale and shallow. This type of interaction was best show-cased in the romance dialogues of Baldur's Gate 2. In essence, the game required a set amount of "real-time" to pass before an interaction with the player's love interest would occur. Approximately every 30 minutes or so, the timer would reach its "end", and at the next "available" time, a romance dialogue would trigger. These would never occur in dungeons, in combat, and occasionally certain other conditions would have to be met (e.g. the party was about to make camp), but this was a means to keep a somewhat regular series of interactions occurring between the player and their love interest. The fantastic thing about this mechanism is that it allows for a "real relationship" to be built up with the character and the player because there's a sense of repeat and on-going interaction. The conversations occur frequently enough that the player can begin to feel a connection with character and personality of the love interest, which makes for a more believable relationship to be formed. This involved a lot of dialogue in which the player became exposed to the many intricacies of the NPC's personality: their struggles, their fears, hopes, history, past romances... in short, they were presented as a complete and complex character with whom the player could empathise, understand, and care for. 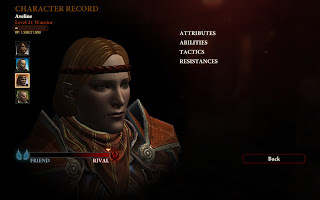 When dealing with characterisation, the amount of content can directly correlate to the depth of the character presented, and the volume of content for the romantic interests in BG2 meant that these well-crafted characters were presented to the player with all their strengths and flaws. However, one issue with this is the sheer amount of work required. 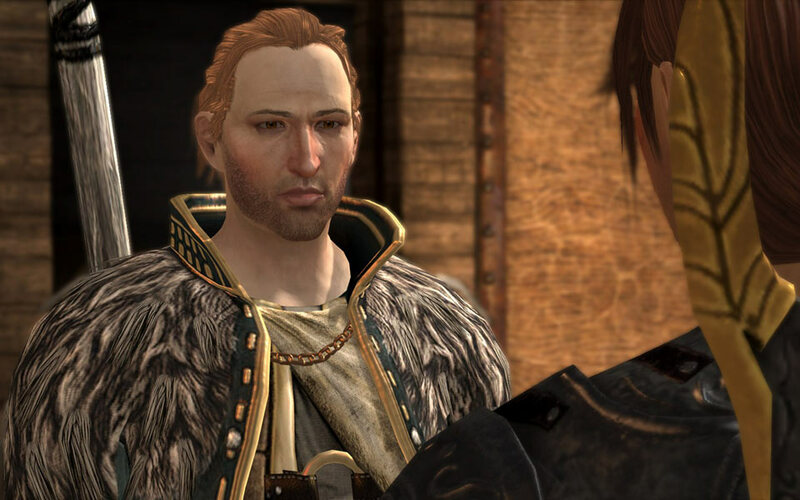 The amount of dialogue required for the numerous romance conversations was massive, and in a modern game with full voice acting, would be prohibitive both in time, money, and storage space when it comes to console games. In games where the player must read all the text (or only has the opening line voiced, as was common in BG2), this option is more viable, though it still has the cost of writing all that dialogue. This approach also bears two of the same problems as interjections in that it gives the player no agency in initiating conversation - they are always forced to wait for the timer to count down before the next one will trigger. It also forces the player to travel with the party member in question again, which may cause gameplay balance issues in games with smaller party sizes. If the player's desired love interest fulfills a similar combat role to the player themselves, they may struggle to prevail in combat if they wish to pursue a romance. While it could be argued that this is a good thing in terms of forcing roleplaying and giving the player a choice between combat prowess and having a romance with a party NPC, this is likely to be unpopular with many gamers. This kind of potential exclusivity or gameplay versus roleplay choice is one that must be considered carefully by the designers and writers involved as it potentially represents a triumph of "hard-choices" and "realism" over player enjoyment. So there are two options for exploring party NPC character development. In my next post, I'll look at two more interaction mechanics, discussing their advantages and disadvantages. In my last post, I discussed the importance and value of party NPCs. However, in order for benefit to be gained from these characters, they need to be well developed characters. As with many elements of writing for video games, basic tenets of writing should be observed. There are some specific areas that should be addressed, because there are concerns that are unique to video games. While complexity is important for many characters, it is almost essential for party NPCs. These characters will frequently fill the role of player character's friends within the adventure, and thus it's useful if the player is able to develop some sort of connection with the NPCs. A shallow character with lacking depth or real motivations will usually feel like a hollow shell or cardboard cutout very quickly. It is good for characters to have some defining characteristic that makes them immediately interesting to the player, as this makes the player want to find out more about them. Keep in mind that if the character is one-dimensional and relies solely on that attribute, they will often be discarded because they are dull or uninteresting. 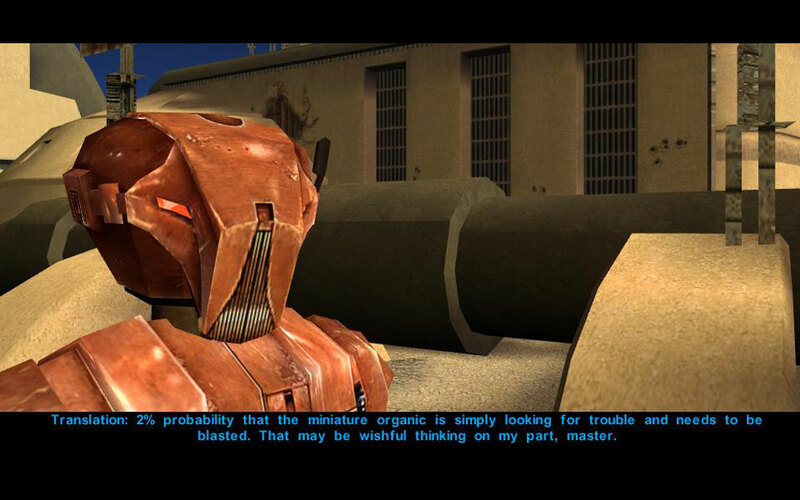 It is important to note that sometimes there are extreme exceptions to the rule - in this case one of the most memorable party NPCs of all time was amazingly one-note: in the form of the overwhelmingly single-minded violence loving character of HK-47 from Knights of the Old Republic. His character revolved around the desire to kill and/or assassinate, but the eccentricity of the character, not to mention the hilarity that ensued from the majority of his conversation, meant that he was a hit with players. Characters generally should not be static during a piece of writing, and games are no different. Characters should be affected by the situations they are placed in: they should react, learn and grow based on what happens to them in an adventure. This may result in slowly exposing more of the NPC's personality to player, but it also can modify the personality traits that they have already seen. More importantly, in a video game the player has the opportunity to make decisions, and those decisions could potentially affect a character's outlook on certain subjects. This is where character growth differs from other mediums, as the player can potentially be given the chance to direct an NPC's development. When used correctly, this is a powerful tool to truly empower the player and make them feel like they have a meaningful relationship with the character. When a player's relationship with an NPC could actually result in different events occurring in the main story, the player gains a real sense "changing the landscape of the game world". Players should be given a reason to care about a party NPC. Whether they save their life, have some personal investment in their safety, or perhaps they are essential for the plot, the player should be given some rationale behind wanting or needing an NPC around. Ideally this should ultimately come about because the player finds the character interesting rather than having some forced justification for their presence. Strangely enough, it should also be considered that the player need not actually care about a character in order to like them. It is always important to note that a character that inspires any sort of strong emotional reaction from the player, provided it is to the personality of the character itself (rather than poor writing or the like) can be considered a good thing. In my first playthrough of Dragon Age 2, I found myself detesting the character of Fenris, yet at the same time forced to acknowledge it was the character's personality that I hated - which indicated good writing, not bad writing. HK-47 also forms a great example for me in this case as well. In my first playthrough I never liked taking him along with me because he would inevitably cause havoc and death that my peaceful Jedi protagonist didn't want. However, I would talk to him whenever I had the opportunity, simply because he was so hilarious. My character could not have disagreed with him more if he'd deliberately tried to be antagonistic, but the unique nature of HK-47 meant that I as a player had to talk to him. For many gamers, BioWare started this trend back in the days of Baldur's Gate 2. It has only become increasingly popular as games develop a more cinematic approach with increasingly complex and visually appealing (both aesthetically and graphically) characters. 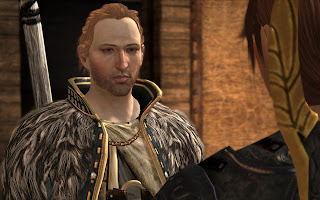 Some players may have struggled to care about a character that was little more than a small portrait comprised of a few hundred pixels, but a voiced acted NPC with a full range of emotions and a wide gamut of non-verbal expression through their face and gestures can provide a powerful entity for developing an emotional connection. This is in some ways the logical extension of the above two points, as a romance not only allows the player to exert a force on the NPC, but it also enables the formation of an emotional connection with the character. Going back to Baldur's Gate 2, many players were outraged when their love interest was forcibly taken from them and their life was in serious danger. This provided a powerful incentive to push forward and rescue their "virtual loved-one", and made the victory in battle over their captor significantly more rewarding. The fervent adoration for characters, not to mention the keen interest in announcements of love interests within RPGs only goes to demonstrate the popularity of type of character development. It is unlikely to disappear any time soon, but provided it is done well, it adds a great deal of depth to a character, not to mention provides the player with a potent reason to be engaged with their gaming experience. Having defined the importance of well written party NPCs, and the means by which meaningful characters can be written, the last key issue to address is to define how the mechanics of the interaction between the NPC and the player will work. But I'll leave that discussion for my next post. The concept of the party NPC has been around in RPGs for quite some time. These are characters who join the player for their own reasons, and have their own thoughts and opinions. As the genre has matured, these characters have been increasingly complex (at least in those games which provide party members), and can offer a great deal to the game when constructed well. Party NPCs are typically the player's companions on their journey. Frequently they exist from the start (or fairly early on in the adventure) until towards the very end of the game. Obviously there are exceptions to this where they may only arrive late in the piece or be killed off part way through for dramatic effect, but usually they provide the ongoing character support during the game. They provide constant assistance in combat, dole out advice, and potentially play an important role in story events. They can serve the atmosphere by reinforcing the danger of a situation, or by providing levity to lighten the mood and amuse the player. Have you ever licked a lamp-post in winter? Party NPCs should be strong characters because they have the potential to be with the player as they experience the events of the game. They are not the mentor NPC waiting patiently for the player to return to talk to them. They are not the antagonist waiting for the player to seize the opportune moment and kill them. However, they can fulfill the vital role of acting as the player's window into the world. As the player frequently needs to be educated about the events or locations in the story, the party NPCs can take on the role of the knowledgeable advisor, telling the protagonist (and hence the player) the vital details they need to know. As ongoing companions, they can dole out the information in small chunks throughout the game, rather than forcing the player to sit through lengthy exposition within a single conversation. More importantly, many players will seek some sort of emotional connection with the gameworld they are playing, and this primarily comes through the characters within the adventure. The party NPCs are the prime candidates to play this part within the drama, and if written well, many players will come to think of the party NPCs as their friends, truly fulfilling the role of companion during the game. 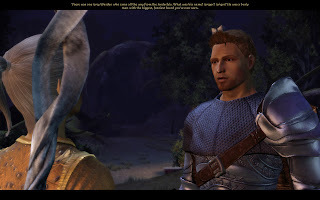 This is no small contributing factor to the development of romances in RPG games, as allowing a romance to play out with a party NPC only serves to heighten a player's emotional connection with a game. The amount of fan adoration of characters within games may at times be slightly concerning, but this only demonstrates how powerful the ability to create an emotional connection with these NPCs can be. The player that does everything they can to protect the life of their virtual love interest within the game is very strongly invested in the game - it is engaging in a way that it would not otherwise be. If you like my mods and blog and are feeling generous, you'll receive my extreme gratitude. And hopefully better mods if I can pay semi-professional VAs or other such contributors! I'm AmstradHero, and this is my blog about gaming and my creations. Many posts will cover mods I have done or am currently working on, but there will be much more. Game design discussions, modding tutorials and advice, reviews or simply opinions and comments on games/gaming will be found here.